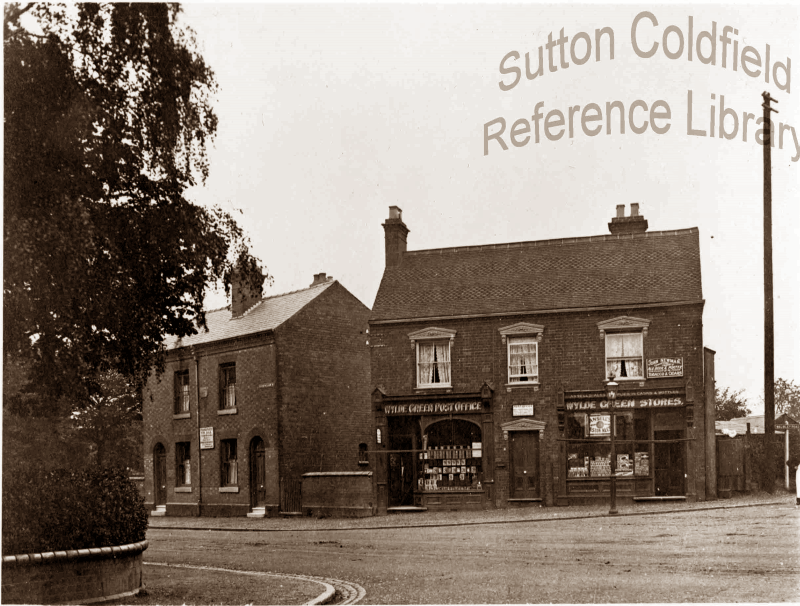 The name originated further back in time, when the land in Sutton south of Maney, between Sutton Park and Walmley, was indeed wild and uncultivated. In the thirteenth century, with a growing population to feed, more land was being brought under the plough, until the whole area to the east of Birmingham Road was turned into farmland. Sometimes small plots were taken in by peasants to add to their holdings, but more often the new land was set out by the Earl of Warwick’s bailiff in large fields - a document of 1240 refers to this process being done “at the Sutton measure of twenty acres”. The new land was tenanted by peasants holding strips of land in various of the new fields, living in houses clustered round a green at the junction of Wylde Green Road and Birmingham Road - Wylde Green. Disaster struck in 1349 when plague - the Black Death - carried off half the population and the hamlet of Wylde Green was abandoned. The farmland remained in cultivation, however, but organised into larger units such as Wylde Green Farm of 160 acres, and with much of it converted to pasture. Gradually population grew and markets picked up. In 1674 there were forty-six dwellings in Maney and the Wylde Quarter (most of them in Maney). Wylde Green Farm had prospered - “Mr. Raphael Sedgewick, for house and lands at Wildgreen - £93” according to a valuation of 1679, when only three other Sutton properties had a higher valuation. The farmhouse stood a little way down from the Green; by 1824 there was a terrace of seven cottages on Birmingham Road north of the green, and a large Georgian mansion - Wylde Green House - to the south. Further development followed, until the whole area was built up, and now the shopping centre a mile to the south is generally thought of as “Wylde Green”.